As seniors age, their activity levels often decrease. They are not as active as they once were and often stay home and spend time alone, especially in the cold weather months. Games can help seniors stay active and alert by utilizing their brains and bodies. If you are a family member that is elderly, here are some games to encourage their interest. 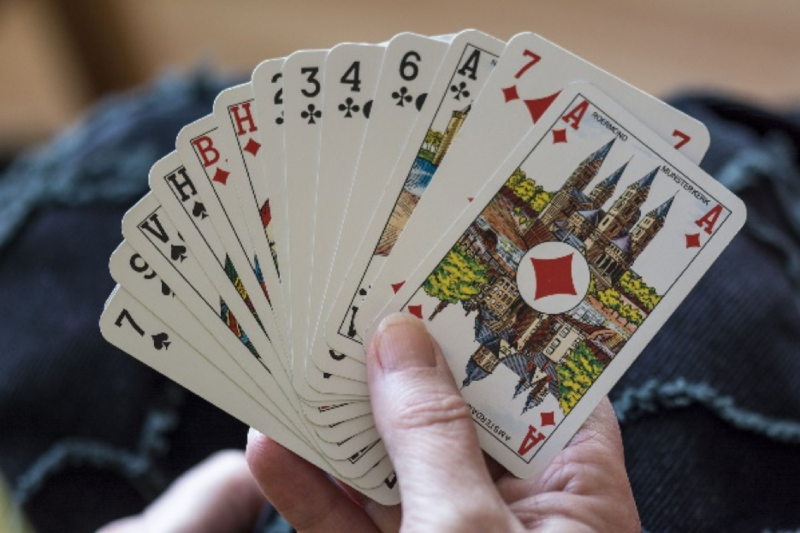 If you have a loved one with limited mobility or one who can’t get out in the cold weather, card games and board games help pass the time. They also challenge your thinking ability and help increase alertness. Uno is a popular card game for people of all ages. Because even young kids can play it, this is a great game for seniors to play with their grandkids. The rules are easy enough that anyone can play. Phase 10 is a little more challenging, but it’s also fun to learn. There are 10 phases, and each one requires the person to collect a different set of cards. Scrabble is a fun board game which is good for the brain. Because it’s been around for a long time, it is a game most seniors are likely to know how to play. Another old game that is popular is backgammon, and it can be played with just two players. If you have a little larger group, bingo is always a hit as well. Games are a great way to exercise the mind and keep the brain alert. Name That Tune is a favorite. You don’t even have to be able to sing. Just pick a line from a well-known song, and many seniors will know the title. It’s best to choose songs that were hits when the seniors were young, but some of them are fans of today’s music as well. Matching games are another option where seniors can play with their grandkids. The players turn over cards to match two items that are just alike. Children as young as preschoolers can play the game, which allows them to have fun with Grandma or Grandpa. Get your senior loved one online, and they won’t have a shortage of games to play. This is a great idea for those who live alone and don’t have the ability to interact with friends when the weather gets bad. You can find online versions of some of the favorites like Wheel of Fortune and Scrabble. With many of these games, they can play with others and chat with them, which allows the seniors to enjoy socialization at a time when they may be stuck at home. If you are worried about your senior loved one living alone during the cold weather and the lack of interaction with others, you can visit Daystar and check out the Winter Program. This program allows the seniors to spend the winter months in our community and then return home in warmer weather. You can enjoy peace of mind knowing your family member is well-cared for even when you can’t be with them.